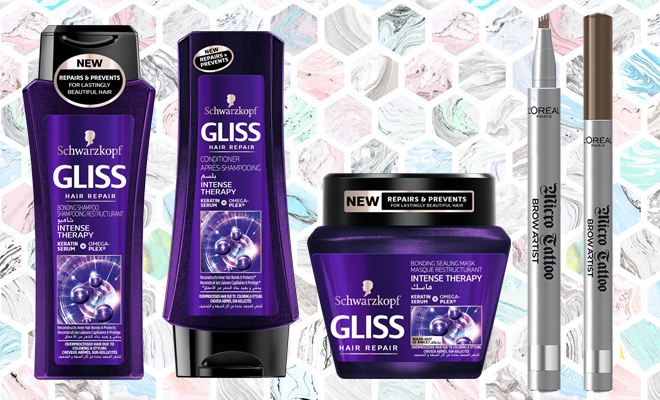 Designed to reconstruct micro-bonds in the hair and strengthen the inner hair structure, the latest range by Schwarzkopf Gliss is perfect for anyone who colours or heat-styles their hair. Keratin and Omegaplex are responsible for repairing the hair and protecting it from future damage. 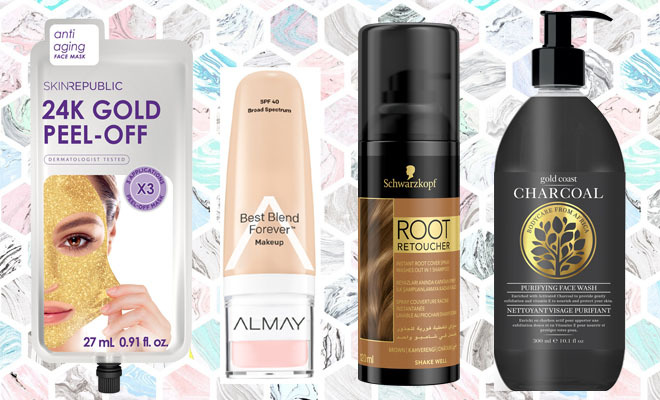 Our editor (who colours her hair often) put it to the test and found that not only did her hair feel soft and silky, but it also didn’t get dry or hard after her last dye-job. We recommend using the Treatment once a week (instead of conditioning that day) to reap the full benefits. It smells great too which is a big selling factor! Our eyebrow prayers have been answered! At first glance this koki-like tool might not look the part of a serious brow-enhancer, but you’ll be amazed at its capabilities. The comb-like tip creates natural looking colour that blends in seamlessly with your natural brows. In fact, it makes the eyebrows look like they’ve been microbladed. Just a few flicks fill in sparse brows to natural perfection. Fool proof, it’s one of the easiest, uncomplicated brow products we’ve used. Plus, it’s available in a couple different shades so you can match it to your natural colour. If the thought of 24K gold on your face gets you somewhat excited, you’ve come to the right place. This luxurious peel off face mask is filled with nourishing plant extracts, and – yes, you guessed it – it’s infused with 24K gold. Use regularly to refine the skin’s texture and reveal a softer, firmer skin. Our editor put it to the test and was mesmerised by the gold colour, but also loved the sensation of peeling it off, and the baby soft skin it left behind. A word of advice – don’t leave it on for too long (we found 15 min was just right), as the longer it’s left, the tougher it gets, and then it gets tricky to peel off. This is a great choice for when you have the girls over for a pamper party! Trust makeup giant Almay to come up with a really clever new way of packaging foundation. Enter the trusty little tool you didn’t know you needed; the foundation with a built-in applicator sponge. First things first – the foundation contains a moisturiser that hydrates for up to 8 hours! It takes multitasking to the next level with a powerful blend of vitamins and botanicals that nourish the skin, while offering a lightweight foundation that blends flawlessly and covers imperfections with ease. The blending sponge is removable, so you can use it as a separate tool if you prefer. All-in-one formula, plus a built-in applicator – this is what makeup dreams are made of! It’s available in 10 different shades and is suitable for sensitive skins. If you colour your hair to cover greys, or if you dye it a different colour to your natural shade and experience re-growth, this is the product you’ve been waiting for. Simply shake the can and spray the sections you want to cover. Within seconds greys and regrowth has vanished, and you didn’t even need to take a trip to the salon! It’s the perfect product for in-between colour sessions, or for those days when you can’t make it to the hairdresser but have an important date or event on the calendar. It washes out after one wash so you don’t need to worry about build-up either. Charcoal is becoming an increasingly popular ingredient in beauty products thanks to its antibacterial and detox abilities. This affordable cleanser lathers beautifully and contains fine exfoliating particles to rid the skin of dead and dry skin cells. It has a refreshing scent and leaves the skin feeling thoroughly clean and fresh. It’s a particularly good choice for oily and blemish-prone skins as we found it to be quite mattifying too. Shaving might not be the most exciting part of your beauty routine, but using a good quality shaving gel can make all the difference in easing the process (less nicks, cuts and uncomfortable skin!). We love this latest launch from Loving Touch because not only does the gel smell delicious and feel luxuriously rich, but it also helps the skin feel less dry and tight after shaving. The range may have been designed with teens in mind, but anyone can use it, and we highly recommend it as an affordable, effective option. Blackheads can be stubborn to get rid of, and more often than not, they result in bigger problems – breakouts! This new launch from Dermalogica targets blackheads with its unique fizzing action, which clears pores and removes stubborn blackheads. It contains sulfur (which has anti-microbial benefits to clear the skin), kaolin clay (which soaks up excess oil and purifies the skin) and apple fruit extract (which increases hydration). Apply on blemish-prone areas 2 -3 times per week for best results. We really enjoyed the fizzing action of the mask and found it to be effective on problem areas (particularly the T-zone!). Citrus-scented eyeshadows? Yes please! A combination of everyday neutrals and splashes of colour, this palette offers endless possibilities. It’s highly pigmented so you’ll get bang for your buck, and we found the colours to be long-lasting too. You only need a little bit of the bright colours for a bold look, so we suspect it’ll last quite long. Plus, unlike a lot of palettes, there are enough neutral shades to make it a practical choice for day-to-day. Twelve shades for R269.95? We reckon that’s pretty good. Your doctor may have advised you to take Evening Primrose Oil for a variety of concerns, but how does a topical version benefit the skin? Its biggest benefit is hydration; it restores the epidermis by retaining moisture in its deepest layers. Simply pat a couple of drops onto the skin after cleansing and before moisturising. Because you need so little, the bottle goes a long way. We found that after a couple of nights the skin feels much softer and silkier – definitely a result of increased moisture levels! I used the Skin Republic Peel Off Face Mask 24K Gold, it made me skin soft and even. 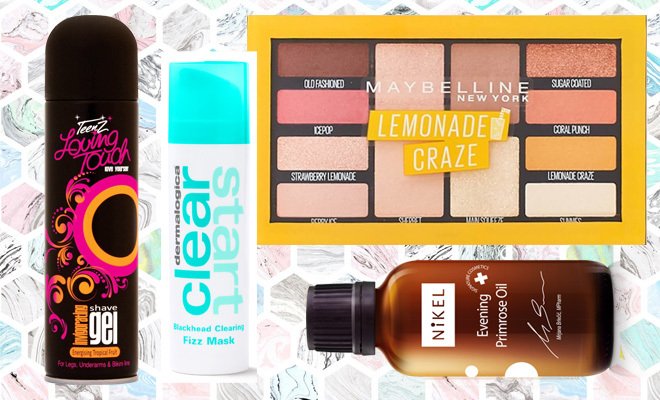 And the Maybelline Lemonade Craze Eyeshadow Palette after seeing blogger and youtubers Cynthia Gwebu use it. I love it. It’s so great. Thank you for the great article.